Silver Forest jewelry is enchanting, playful, full of color and texture. We believe that the difference is in the details. Our jewelry is made using quality materials and lovingly handcrafted in Southern Vermont. We believe that our earrings are about much more than accessorizing. They’re about feeling beautiful, uplifted and confident. They’re about expressing your true self. Our mission is simple—create wearable art that is as timeless and unique as you. Our earwires are surgical steel or surgical steel with a 18k gold overlay. There is no nickel used in our plating process. We use genuine semi-precious stones. We also use glass beads, natural materials, and genuine Austrian Crystal to accent. Our metals consist of raw brass or copper. 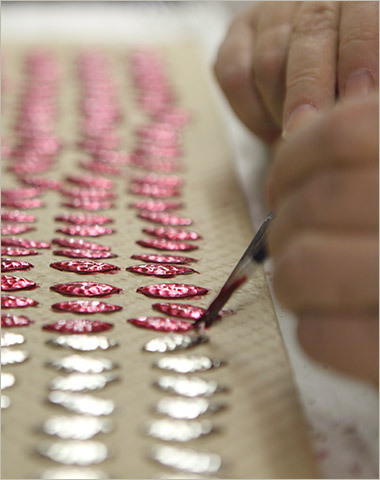 Each shape or disk is cut and rolled out with our propriety textures. All of our jewelry is Lead free and Cadmium free. All of our jewelry is soldered, never glued. 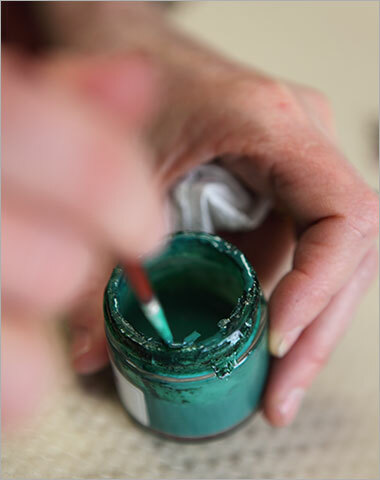 We use three distinct color processes in the finishing of our jewelry. There will be slight color variations in the jewelry due to the different textures on the metal and how each process adheres to a particular piece of metal. Founded over thirty years ago, Silver Forest started selling its distinctive jewelry at craft shows throughout the Northeast. Today, Silver Forest jewelry can be found in retailers throughout the United States and Canada. Silver Forest jewelry is hand crafted in Bellows Falls, Vermont. Our mission at Silver Forest is to create wearable art that is as timeless and unique as you. Natural elements, ancient cultures and a subtle sense of humor influence our designs. Denim friendly and casual, Silver Forest is not a trend, it is a lifestyle— which is why we continue to be a top selling jewelry brand. If you’d like information about becoming a Silver Forest Retailer, please contact us and let us know who you are. If you’re an existing Silver Forest Retailer, you may log in for access to product information and much more. If you are a Customer, please enter your information below to contact us. If you are a retailer, please use the retailer contact form. Or give us a call at 1-800-922-9946. Please only hit "Send" one time.